On a visit to Vienna, I had the chance to meet with Kamen Stoyanov, a Bulgarian artist who lives there. I originally met the artist in Budapest where he had come to set up a gigantic inflatable tomato as well as other work for an exhibition at Inda Gallery. 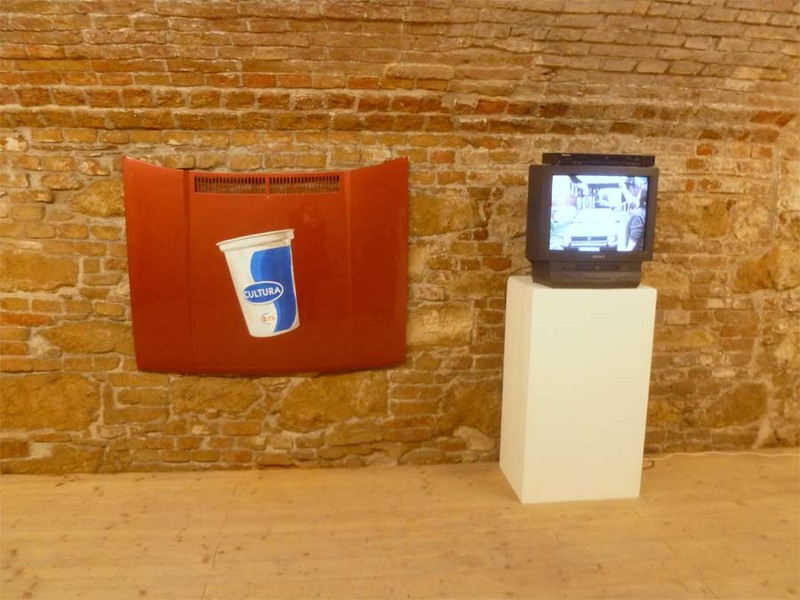 The exhibition “It is not so hard to make some art” showed Stoyanov’s Tomato Products, work he created during a recent residency in L.A.. His work can be considered in relation to Hungarian art as representative of regional trends, and here I want to highlight some of his projects that deal with cultural transmission. Stoyanov also deals with public space and the effects of capitalism in a changing society and on artmaking. 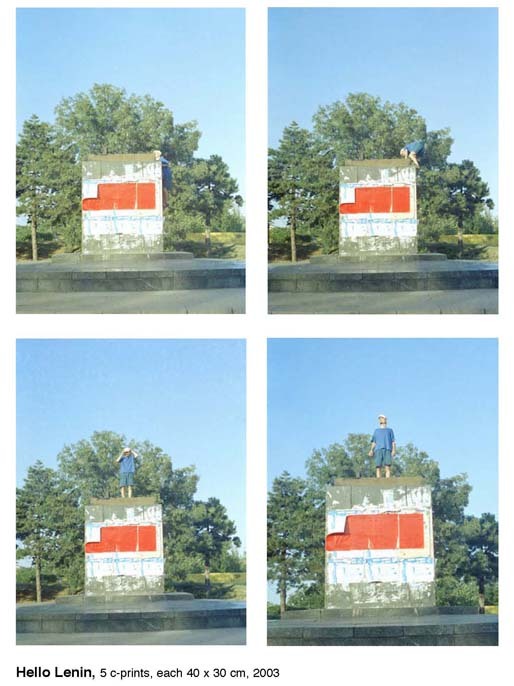 An earlier project, Hello Lenin, features the artist posing on a large pedestal in his hometown in Bulgaria which was formerly occupied by a statue of Lenin. 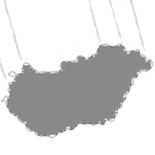 The ideology of public spaces that he explores ties into similar concerns in Hungary and throughout the region. The statue was pulled down, but the pedestal remained behind, forgotten and used to hang local advertisements. Stoyanov assumes the heroic position but remain a small, human and contemporary figure (not unlike Istvan Csákány‘s 2008 project Monument for a Monument, below, in which a figure of the artist tops a monumental, non-functional lamppost). Overall, in a region where borders change, Stoyanov’s work questions the functions and abilities of transplanted and local culture. This entry was posted on March 1, 2013 by linnea8 in Artist Meeting.